In April last season, Evgeni Malkin returned to the lineup after a month out with an elbow injury (one that was revealed to be more serious at season's end). With Malkin set to return for Game 2 of the playoff opening series against the Rangers, Mike Sullivan struggled to find a place for his other elite center in the lineup. The HBK line was humming and seemingly invincible. Crosby and Malkin don't mesh well together outside of the power play, partly because Malkin prefers to play his natural position at center. 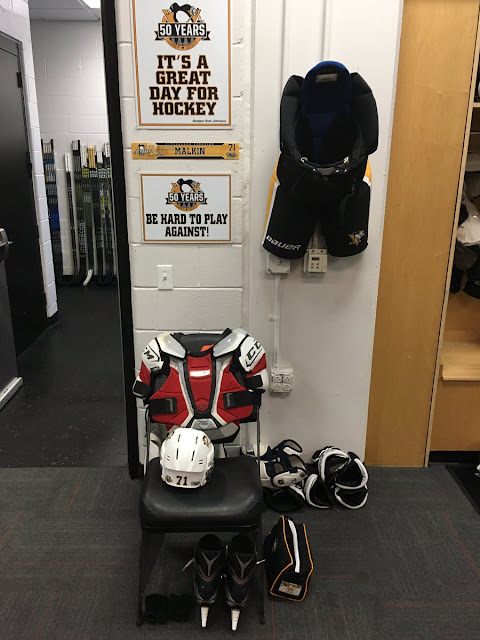 He started that game flanked by Conor Sheary and Bryan Rust, who was also returning from injury. Geno and the Kids did not work out well. (It doesn't sound as nice as Sid and the Kids, anyway.) After a period of ineffective shifts, Sully toyed around playing Malkin on Sid's left wing. Talking to Josh Yohe after the game, Bryan Rust made it clear that he wasn't comfortable playing alongside Malkin and his east-west style of play. What a difference a year makes. Now it seems like a match made in heaven, right? As the 2016 playoffs moved along, the two developed better chemistry as they adjusted to each other's idiosyncrasies. The more they skated together and learned to read one another, what once looked like a doomed partnership blossomed into the most threatening line in the 2017 playoffs. Tortorella, who has always matched up Brandon Dubinsky against Sid, made adjustments late in the series to pit Dubinsky against Malkin. 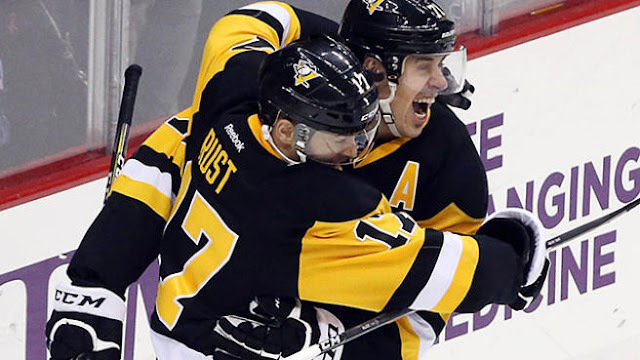 In this postseason, the Rust-Malkin-Kessel line is the most productive line with Malkin currently leading the league with 11 points in five games, Kessel with 8, and Rust with 4. And Malkin isn't even 100% after returning from an upper-body injury. Wrap your head around that thought. He's only going to get better. Rust recently returned from injury too. Deja vu, anyone? 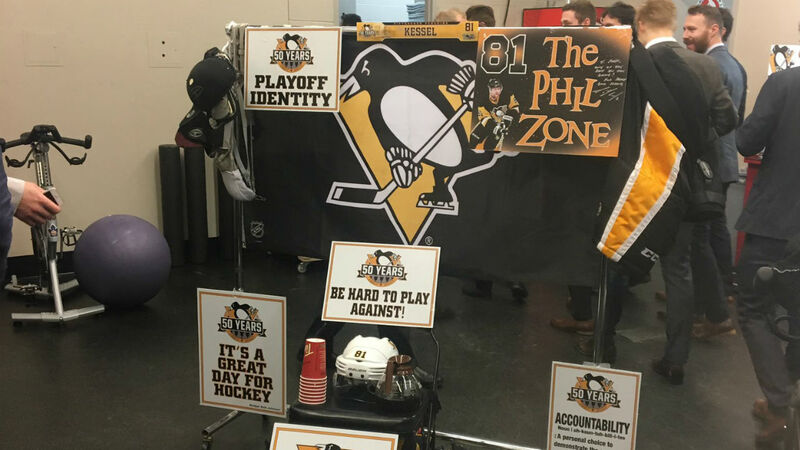 I'm pretty sure Mr. Phil "Playoffs" Kessel will score no matter who he's playing with. Though you have to figure the prank war between Malkin and Kessel further cemented their already strong bond.